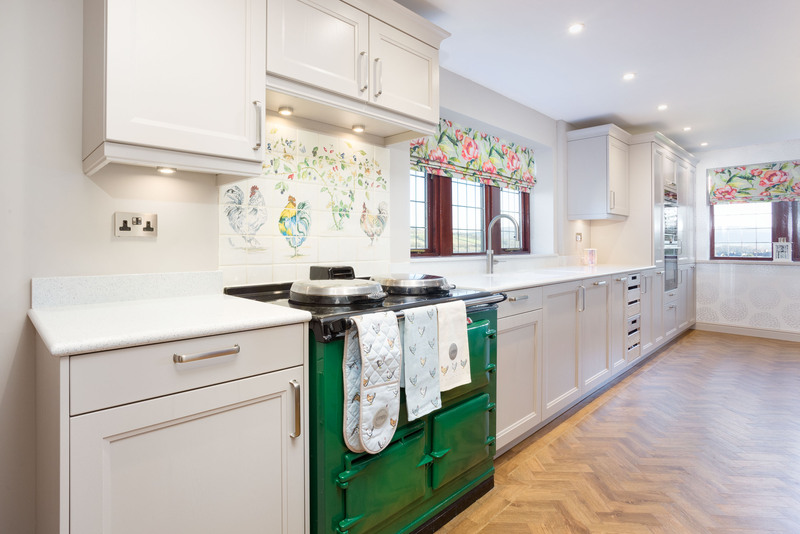 A stunning traditional kitchen from the Schüller C range. A shaker style kitchen with Finca- Ash sand grey silk gloss doors. 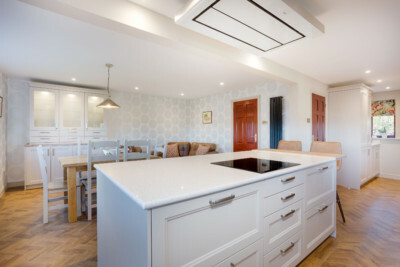 The spacious room allowed room for a huge amount of storage and a impressive large island created lots of worktop space. Natural oak pull out crates and a natural oak crossover wine cabinet were chosen, reiterating the traditional style. 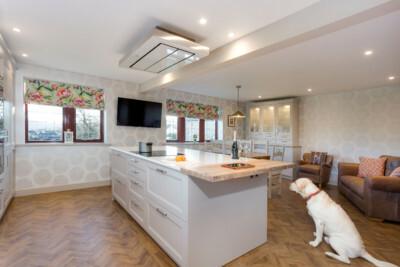 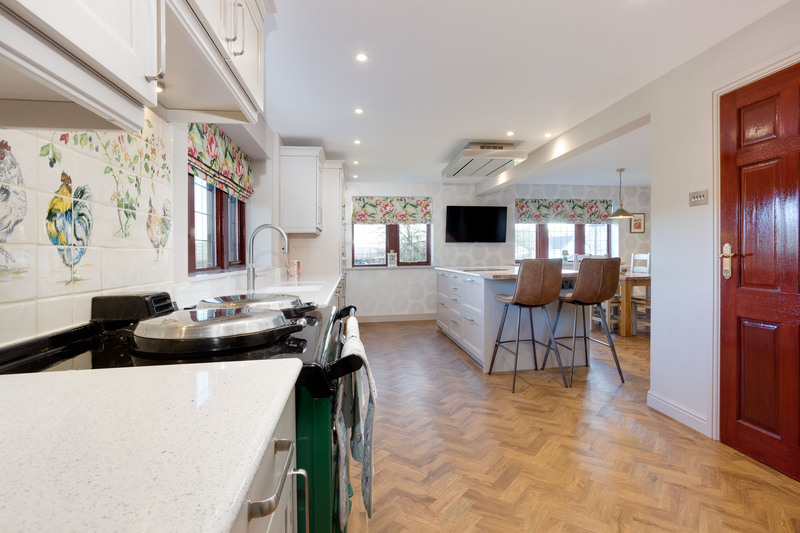 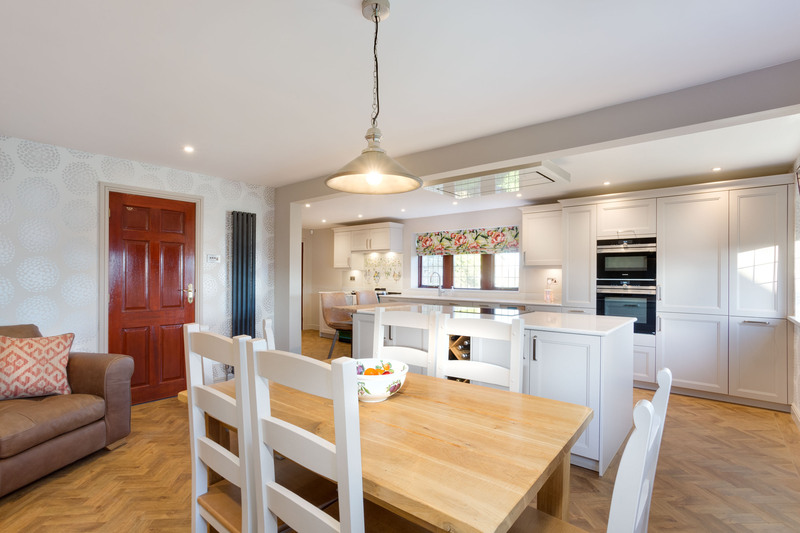 The worktops chosen are Silestone- Blanco Stellar, with a bull nose profile, in contrast to a Arizona pine effect- Laminate breakfast bar comfortably situated at the end of the island. 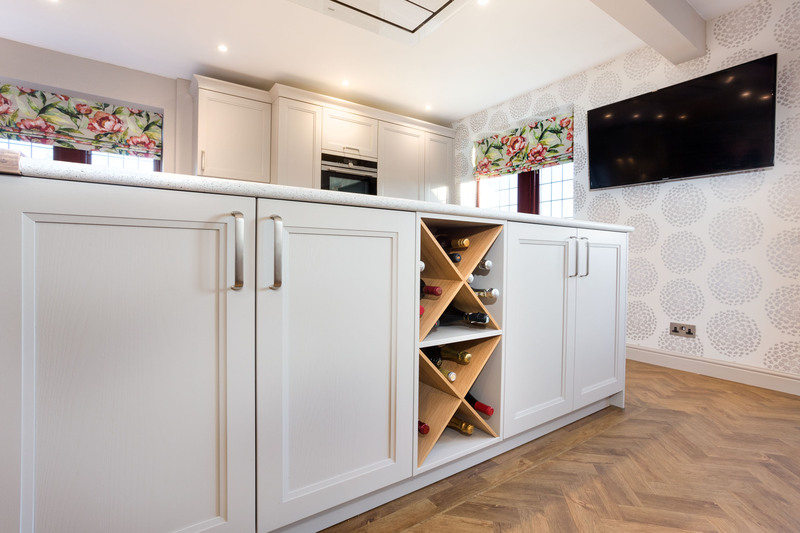 They opted for a range of premium Siemens and Liebherr appliances, including a integrated Liebherr -bio fresh fridge freezer with soft close. 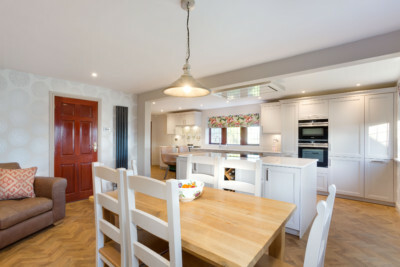 Finishing off a job expertly fitted by the Kitchens of Desire team.